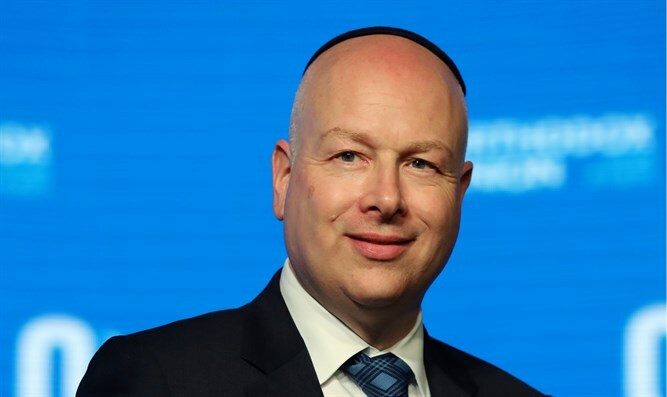 Jason Greenblatt to attend UN Security Council session, express support for law offsetting terrorists' salaries from PA's taxes. The Trump administration’s envoy to the Middle East, Jason Greenblatt, will participate on Friday in a closed session of the United Nations Security Council dealing with the law offsetting the salaries of terrorists from the tax money that Israel collects on behalf of the Palestinian Authority (PA). Greenblatt is expected to support the law, according to Dana Weiss of Channel 12 News. The European countries are also expected to support the law, but will also call on the PA to accept the rest of the money from Israel, reported Weiss. The PA then angrily announced that it had returned the tax revenues to Israel after it deducted 41 million shekels from them. PA officials made clear that it would be “all or nothing”, that is they will receive the full tax revenues from Israel or will accept none. PA chairman Mahmoud Abbas has in the past called the PA's continued payments to terrorists a "red line" that would not be halted under any circumstances. After Israel's decision to implement the law and offset the salaries of terrorists from PA funds, Ramallah was furious and promised that there would be serious repercussions over the move. “Any deduction from the Palestinian clearing funds is totally rejected and is considered a piracy of the Palestinian people's money,” said Abbas’ spokesman, Nabil Abu Rudeineh. "We consider this arbitrary Israeli decision to be a one-sided blow to the signed agreements, including the Paris Protocols," he continued.